Well, it has been since 1964, at least. That was the year that Disney’s famous It’s a Small World ride first opened. 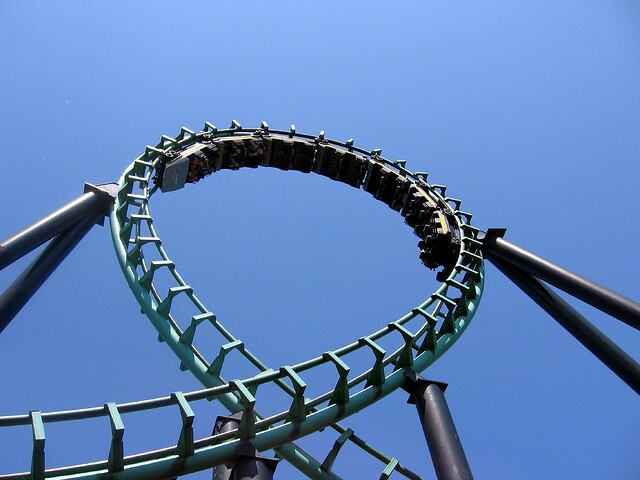 The ride has entertained 10s of millions of people over the decades, and it’s one of the most beloved Disney attractions of all time. I have taken a journey on It’s a Small World more times than I can count, and invariably hear the song in my head whenever I think about the ride. In fact, I’m literally humming it right now as I write this post! (And I bet you are now, too!) It’s A Small World celebrated it’s 50th anniversary in 2014. Here are 20 It’s a Small World facts to amuse your friends… no matter where in this small world they may be! #1 – It’s a Small World ride originally premiered at the 1964 World’s Fair, which was held in Flushing Meadows, New York, during 1964 and 1965. #2 – The ride was originally called PEPSI-COLA Presents WALT DISNEY’S “It’s a Small World” – A Salute to UNICEF and all the World’s Children. #3 – Tickets for the ride, when it was at the World’s Fair, cost 95 cents for adults and 60 cents for children. 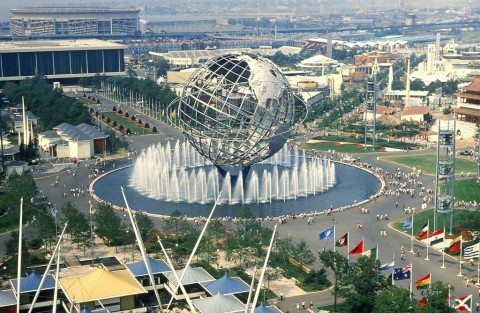 #4 – 10 million ride tickets were sold during the 2 half-year seasons that it operated at the World’s Fair, with all proceeds from the ride going to UNICEF. #5 – After its debut at the 1964 World’s Fair, the original It’s a Small World was moved to Disneyland, where it opened in 1966. #6 – The boat system used to process guests through the ride proved so efficient that it was implemented on many other Disney rides, including Pirates of the Caribbean. 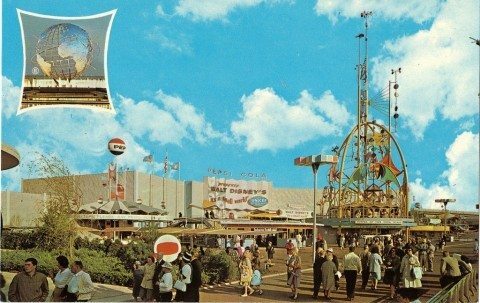 #7 – The UNICEF displays and gift shop at the end of the World’s Fair manifestation of It’s a Small World were very popular and inspired the construction of gift shops near the exits of other rides at Disney and amusement parks throughout the United States. #8 – The It’s a Small World song plays 1,200 times during a 16-hour operating day. #10 – Amazingly, the song is the only other Disney entity since Oswald the Lucky Rabbit to remain without a Disney Corporation copyright. This helps to make the song a true gift to the world, and can be heard as a music demo on many electronic keyboards, playing in music boxes, and even blaring from ice cream trucks! #11 – “Children of the World” was the working title for the original attraction at the New York World’s Fair. #12 – Marc Davis, a legendary Disney animator, designed the scenes and characters. His wife Alice Davis designed the costumes for the worn by the dolls. #13 – Rolly Crump designed the toys and other figures seen on the ride. #14 – Blaine Gibson designed and sculpted the animated dolls. #15 – Each animated doll face is completely identical in shape and appearance, to celebrate unity among the nations and cultures celebrated on the ride. #16 – Arrow Development, a company that became famous for flume ride and roller coaster design and construction, devised the boat design and propulsion system for the It’s a Small World ride. #17– According to internal research by Disney, 1 in 4 park guests consider It’s a Small World to be a tradition. 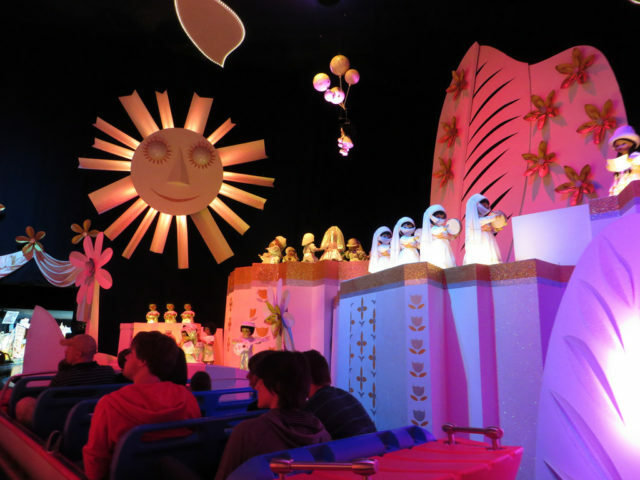 #19 – There are at least 240 animated figures in each of the It’s a Small World rides. What Are The Scariest Rides At Disney World?